The U.S. Department of Agriculture’s (USDA) National Institute of Food and Agriculture (NIFA) announced $34 million in available funding for projects that promote sustainable water use for food production, processing, and other competing uses. Funding is made through NIFA’s Agriculture and Food Research Initiative (AFRI), authorized by the 2014 Farm Bill. The long term goal of the AFRI Water for Food Production Systems Challenge Area (WFPS) is to sustainably increase agricultural productivity and availability of safe and nutritious food while significantly reducing water use and preserving water quality. For Fiscal Year 2017, NIFA’s WFPS RFA invites applications that employ systems approaches, which may lead to solutions for water challenges in U.S. agricultural production. These solutions must be feasible and reflect a broad range of considerations: agricultural producers, other competing industries, consumers and the communities where they live, and other stakeholders. Potential impacts may include changes in economic, environmental, behavioral, social, and policy approaches that lead to reduced water use, and increased water use efficiency for the next several decades and beyond. Applications may be submitted by entities eligible to submit integrated projects for two specific grant types: Coordinated Agricultural Projects (CAPs) and Strengthening (Food and Agricultural Science Enhancement or FASE) CAPs. Letters of intent are due May 17. The deadline for applications is August 2, 2017. Since 2014, NIFA has invested more than $42 million through the AFRI Water Challenge Area. 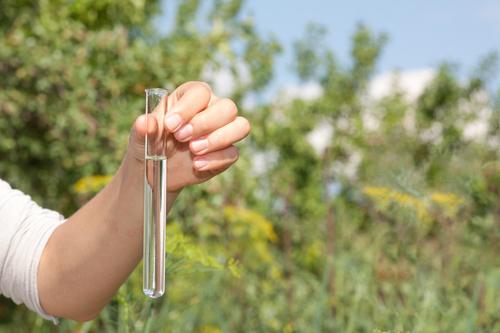 Examples of previously funded projects include a Michigan State University project to develop and promote water-, nutrient-, and climate-smart technologies to help agricultural systems adapt to climate and societal changes. At the University of Texas in El Paso, researchers investigated sustainable water resources for irrigated agriculture in a desert river basin facing climate change and competing demands. NIFA invests in and advances agricultural research, education, and extension and promotes transformative discoveries that solve societal challenges. NIFA support for the best and brightest scientists and extension personnel has resulted in user-inspired, groundbreaking discoveries that combat childhood obesity, improve and sustain rural economic growth, address water availability issues, increase food production, find new sources of energy, mitigate climate variability and ensure food safety. To learn more about NIFA’s impact on agricultural science, visit www.nifa.usda.gov/impacts, sign up for email updates or follow us on Twitter @USDA_NIFA, #NIFAimpacts.